Ramada Plaza Guangzhou is affiliated with Ramada International Hotels. It is located in Tianhe District of Guangzhou, adjacent to East Guangzhou Station, and Metro Line 3. Pazhou International Conference Center is only 25-minute drive away and Huangpu Economic & Technology Development Zone is only 20 minutes away by car. 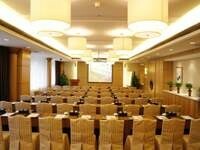 It is an ideal hotel to hold assorted conferences in Guangzhou. There are 7 well-equipped conference rooms in different sizes, 6 medium & small size meeting rooms are suitable for small-scaled meetings. The banquet hall accommodating 380 guests is perfect for large conferences. 1. 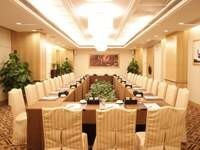 During Canton Fair period, the room rates include two free buffet breakfast. 2. Free shuttle bus between hotel and fair center according to time schedue and Guangzhou East Train Station by advanced reservation.